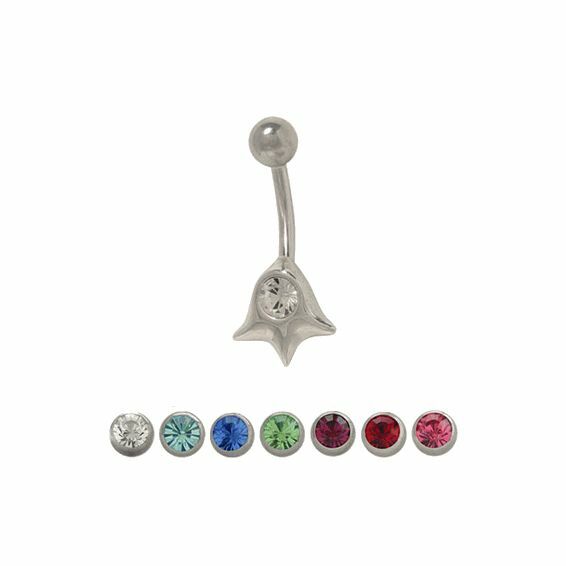 This is an interesting belly button ring with a 316L high grade surgical steel shaft and a .925 sterling silver design and a cubic zirconia jewel in your choice of clear, light blue, dark blue, green, red, purple, or pink. The externally threaded top ball size is 5mm. This navel ring measures 14 gauge and 10mm- 3/8 of an inch. Entire piece is nickel free.